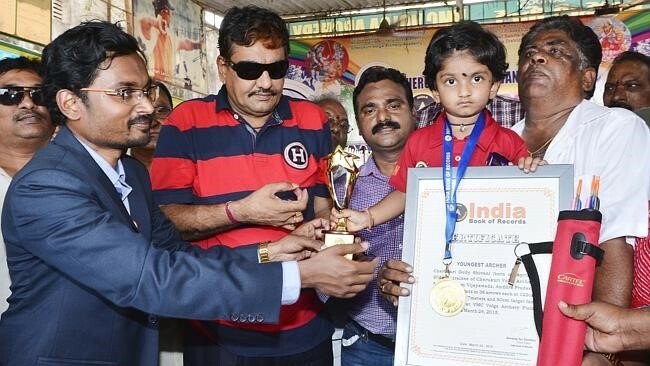 Dolly Sivani, the child prodigy from Vijayawada has created the history and has been breaking the records in the world of archery. She is building the hopes of Olympic medal dreams in the famous archery sport. 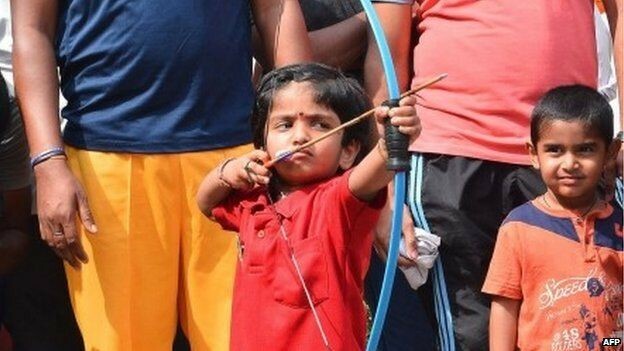 This child who is the sister of the former Archery Champion and National Archery team coach Lenin Cherukumuri is now the greatest hope of the future of archery in the Nation. The birth story of this child is quite interesting and she was born truly for the game. The two sons of Satyanarayana Raju and Krishna Kumari, Lenin Cherukumuri and Volga Cherukumuri died in 2010 in a mishap. After their death, the couple was in a dilemma of who will continue their family legacy as archers. Then, they decided to get a surrogated baby and thus born, Dolly Sivani the Youngest Archer in the country on April 2, 2012. While she was in the mother’s womb her father decided to train the child to become the greatest archer. As a young child cannot handle the weight of the bow, her father bought her specially made bows from a bow-maker in Polland. She used to train more than two to three hours a day which is exceptional for a child of her age. Dolly starts and ends her day with archery. She literally speaks, dreams and eats archery from such a young age. 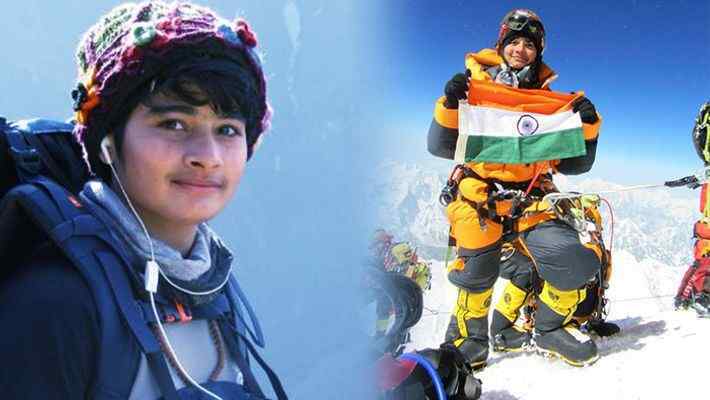 After training for a period of time on 24th March 2015 this child prodigy showed her archery skills to the world. She scored 200 points in an event and became the India’s Youngest Archer at a tender age of 35 months and got recorded in the India Book of Records. She achieved this feat by firing 36 arrows at a target 15 feet and 21 feet away. Her parents played a major role in shaping her as an archer as well as the Volga Academy of their own. Dolly’s achievement at such a tender age attracted filmmakers who tried to make a documentary on Dolly, one of them was Jamie Dobie, who is working for Abigail Disney from Disney Family. 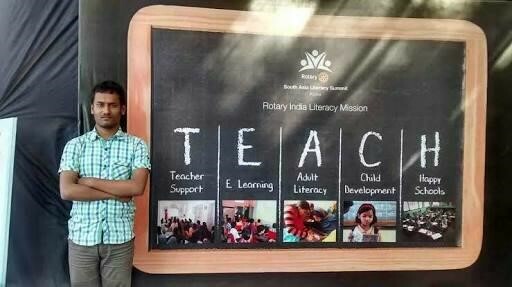 Later after 2 years of dedicated and rigorous training, in 2017 Dolly achieved two more records in an event conducted in Vijayawada. In the first, she fired 103 arrows at a target 10 meters away in just 11 minutes 19 seconds and in the second she fired 36 arrows from 20 meters in 5 minutes 8 seconds breaking the records. With this achievement, she got praised from all over the country which even included the Vice-President Venkaiah Naidu who congratulated the kid through Twitter. 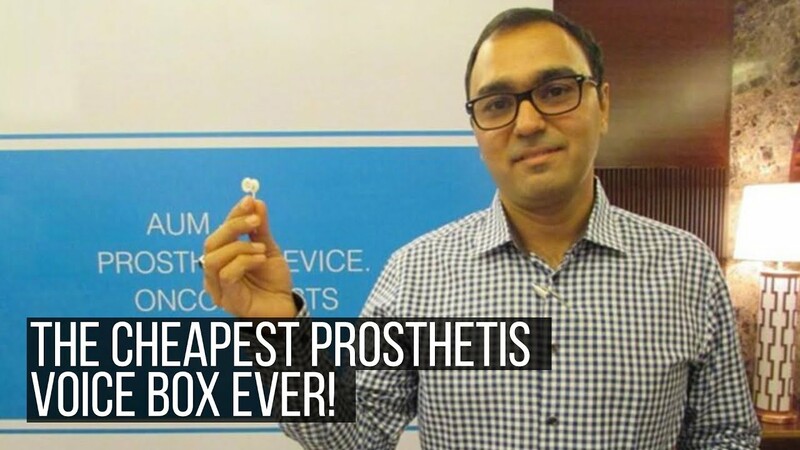 Dolly also made her name in the India Book of Records and Limca Book of Records. She hopes to be in the National team and win a medal for the Country in the Olympics. Everyone child is gifted and everyone can become Dolly’s in their field of interest. The most important thing is the parents who play a major role in molding them in becoming what they desire to become. With the love and support, they can break the barriers making and breaking the records.